The following acts as a tutorial and a reference checklist for preparing your build for release and packaging for deployment. It covers a checklist of things for your config files, preparing and converting an icon for your executable, and finally how to create a disk image with an “installer”. Remove any test features from your code. Remove any files that aren't needed. Remove liborxd.dylib and liborxp.dylib. Only liborx.dylib is needed for release. Under MacOS, drop in your executable, liborx.dylib, and starting ini file. Under the Resources subfolder, drop in your data assets and any other ini files. Make sure all config paths and resource paths are correct, by loading your executable and ensuring it all runs fine. You will need to create an icns file, which is a file that can contain one or more icons of varying sizes. Get a PNG image that you would like to use. Double click your PNG to load into Preview. Use Tools/Resize to change the size to 128×128 or 256×256 whatever is closest. A new file called icon.icns will be created. Rename this file in the same format of the application, eg: “My Game Application.icns” (without quotes). Copy the file to Resources folder. Package information is a way to add metadata into your application which identifies the name of the game, author, versions etc etc etc. And wikipedia will help you locate values for your BuildMachineOSBuild value. Start at: https://en.wikipedia.org/wiki/MacOS#Release_history and look under the “Most Recent Version” column to get a version code. 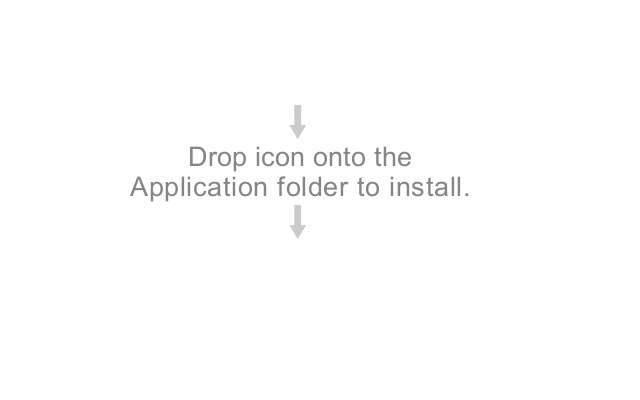 Your icon should appear on the application and it will appear as a single file. Double click on the Application file to check that the application launches fine. In order to distribute your game, you'll need to turn the “My Game Application.app” folder structure into a disk image. Launch the Disk Utility application. Select your “My Game Application” folder and click the Open button. Save as “My Game Application.dmg” and choose read/write as the image format. Your .dmg file will be created. Double click on the DMG file to mount it as a Volume. Double click the “My Game Application” volume to open it. You will see your game application icon inside. Double click your game icon to check it all starts up ok.
Rather than an empty window with your icon, you can change this window to be more like an installer, giving the user instructions on how to install your game to onto the player's Mac. Save this image as: mac-installer-background.png. Open the “My Game Application” volume again if it isn't already. Drag the mac-installer-background.png into the “background” folder. Return to the main DMG window where your game icon is. Drag the mac-installer-background.png file in the “background” folder onto the “Drag Image Here” box. The DMG window should have its background changed to the mac-installer-background.png image. Drag your game icon into a good position at the top of the window. Open another Finder window and go to the Macintosh HD. Right click the “Applications” folder and select “Make Alias” to make a shortcut. Drag this shortcut to the DMG window. Rename it to remove “alias” from the name and drag it to a nice position at the bottom of the window. Resize the window itself to a nice suitable size. Close the terminal, and any open windows to the “My Game Application” volume and then Eject it. Finally, you need to compress the image to make it smaller, and no longer writable. Select “My Game Application.dmg”. Click “Open”. Save to a new .dmg file elsewhere. The result is a compressed “My Game Application.dmg” disk image that can now be mounted and tested. A user can download this file, drag the game application into the Applications folder, and then throw the DMG away. There are a number of other things you might like to consider when packaging your release. If so, you can probably ignore these warnings. Check that icon.ics file was created anyway, and contains the icons you specified. Application error: When running your *.app file, and you receive a: You can't open the application because it may be damaged or incomplete. Ensure that your *.app folder name matches your key name which matches your actual executable filename. Converting DMG: If you receive an error during Disk Utility converting, ensure that the original dmg is unmounted.